Rotherham’s Joe Seage continued his fine form at Ponds Forge posting a massive PB in the 100m Mens Multi Disability Breastroke heats to qualify both fastest and seeded first on British Disability Points for the afternoon’s final. Joe ensured the final went to form posting a time of 1:20.13, touching first and amassing 576 BD Points to take gold and maintain his 100% rate of podium finishes for the championships with tomorrow’s 200IM still to come. Two more medals were won on day 2 with impressive swims from Debbie Cocking in the 14 Years Women’s 100m Butterfly and Joe Seage in the Multi-Disability 100m Backstroke. Debbie qualified fastest for her final and then went almost 1.5 seconds faster in the final to clock 1:04.72 & clinch gold with a dominant swim, this also represents a new junior and open club record. Again Joe registered the fastest time in the heats but went into the final seeded second on British Disability Points. He improved his time in the final by 0.77 seconds and although touching first his time wasn’t enough to beat his nearest rival on BD Points and so Joe finished with an excellent silver. These two medals and Joe’s gold yesterday left Metro in 10th position in the medal table at the end of day 2. Joe Strikes Gold on Day One of ASA Nationals. Joe Seage got Rotherham Metro off to a great start on the first day of the ASA Championships with a convincing win in the Multi-Disability Mens 200 metre freestyle. A good swim in the heats saw Joe qualify second fastest for the final and he turned on the style in the final to knock almost 5 seconds off his heat time to win in a time of 2:19.14. Great swimming Joe and with Metro swimmers in action throughout the week Joe has set the bar high on the first day. Masters Squad member Joe Gavelle bagged a gold medal at The ASA National Masters Open Water Championships which were held at Rother Valley Country Park on Sunday. Competing in the 1.5k Mens race Joe clocked a time of 21:20.91 to claim gold in the 45/49 Years age group. 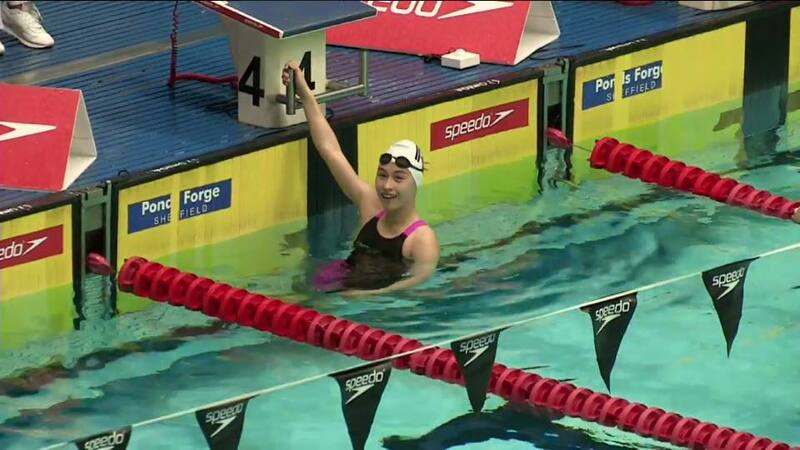 Debbie Strikes Gold At British Nationals And Sets New Yorkshire Record! Rotherham Metro’s Debbie Cocking capped off an amazing week at the Summer Nationals tonight by becoming the Womens 13/14 Years British Champion in the 50 metre backstroke. Debbie posted a PB in the heats to go into the final as fastest qualifier and improved on her time in the final which she led from the start to take gold. Debbie’s time of 30.01 seconds in the final is also a Yorkshire record. This followed on from a week of personal bests and club records and two great performances in the 50 Butterfly and 200 IM finals where Debbie agonisingly finished 4th on both occasions. Congratulations Debbie on a fantastic achievement.